St Paul's is the oldest church in the village having been established by the Anglican Diocese of Pretoria at the end of the 19th Century. Initially it was founded to meet the needs of the mining community here and the new farmers that were settling on the mountain. 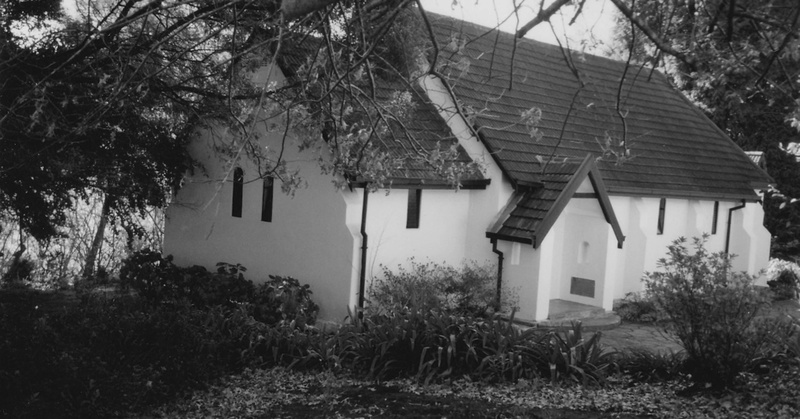 In 1906 the original building was built on land given to the church by President Paul Kruger. Initially it seated 10 to 12 parishioners. In 1914 it was enlarged to accommodate 25 and in 1952 further extensions allowed for 60 to be seated. A fire in 1968 caused extensive damage and the roof collapsed causing the building to undergo repair work. For many years the Anglicans had one then two services a month and the Methodists one service. Later on the Presbyterians had one service a month too. In 1991 stands 239 and 240 were purchased due to the generosity of the Bernard Price Trust Fund's donation for parking and eventually a pastor's cottage. In 1999, the three churches, after much negotiating, combined to form “St Paul's United Church” with a trust having representatives from the three churches, a constitution and a church council. The official “United Churches” service book was introduced to the services. As from 2004, the ground belongs to the St Paul's United Church. We did not pay directly for the building and ground, but made a contribution of R38 400 to the Anglican diocese of St Mark the Evangelist towards the training of an Anglican Minister. In 2004 the congregation had grown to such an extent that the church had to be enlarged once more and the formal opening of the new building was held on 5th June 2005. Retired bishop of the Anglican Diocese of Limpopo, Rt Rev Phillip le Feuvre oversaw the worship and ministry of the church for several years, having moved to the area. In 2011 a decision was made to appoint the first full time minister to the church. Rev Jill Buhr was appointed in January 2012 and served the congregation for four years before being appointed Methodist Circuit Superintendent for Tzaneen.